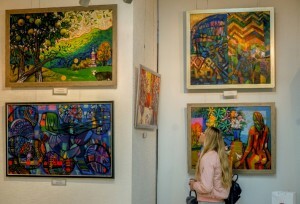 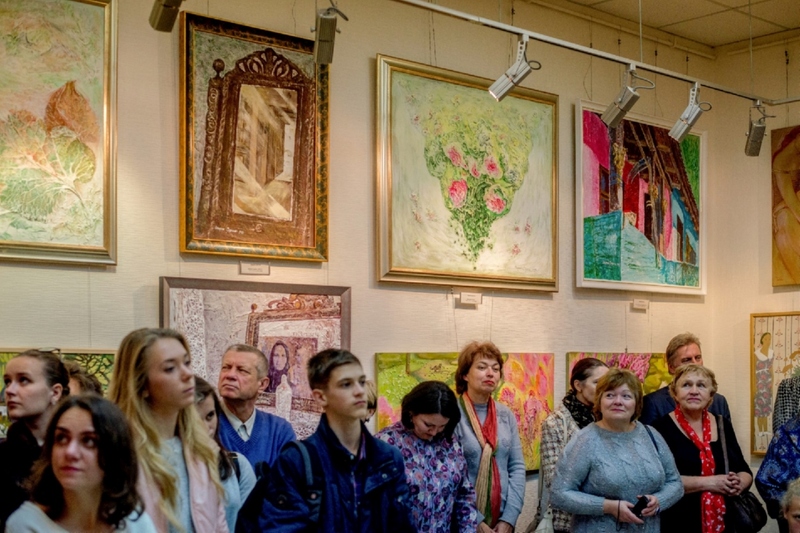 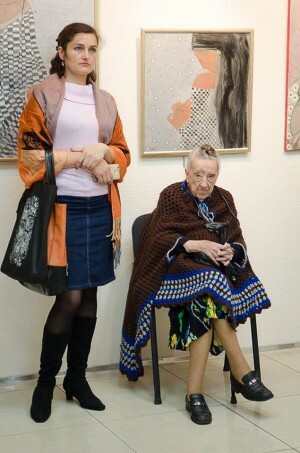 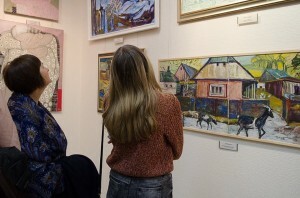 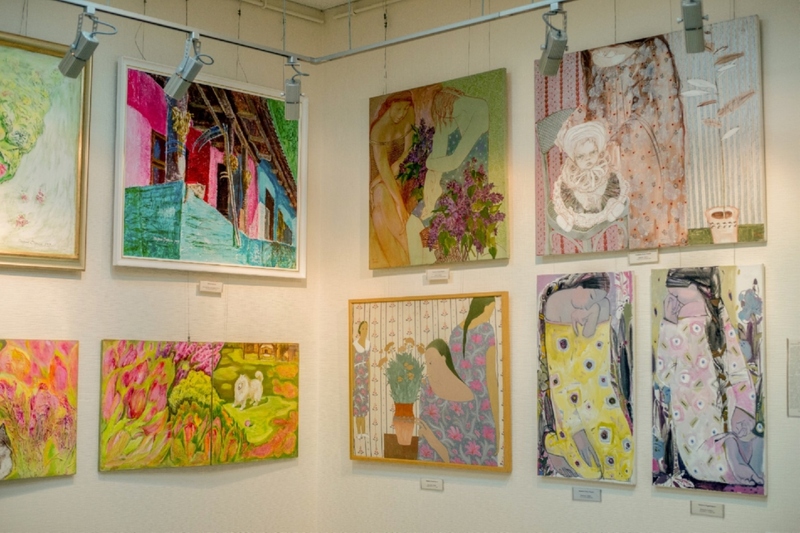 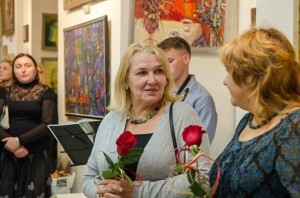 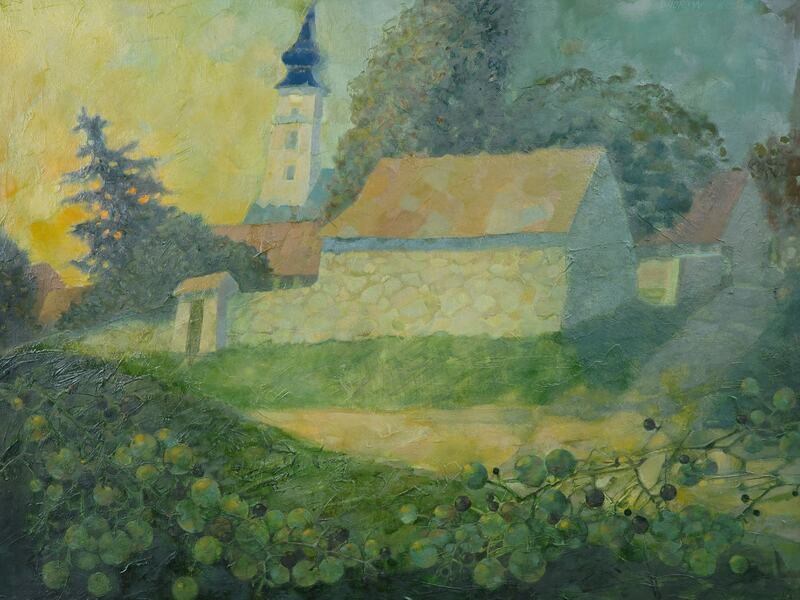 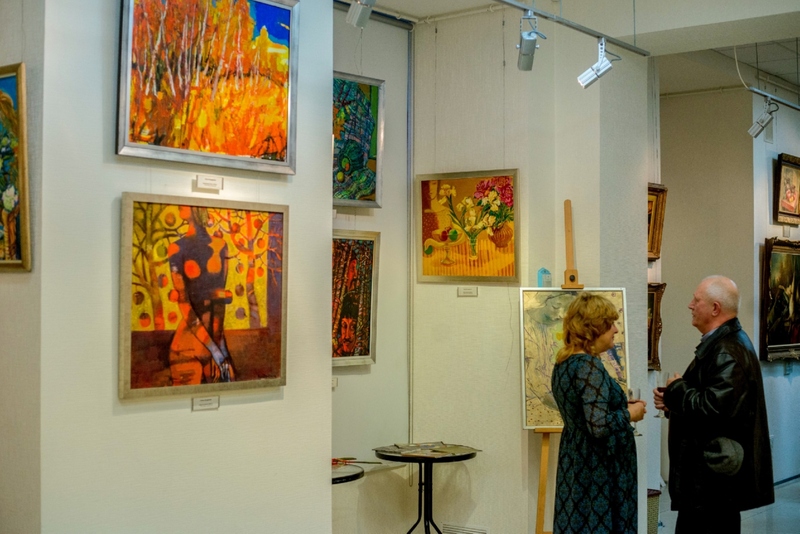 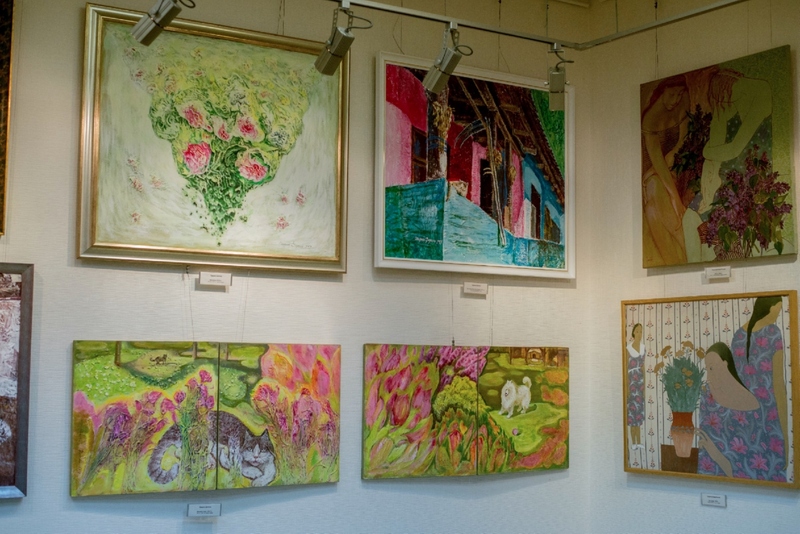 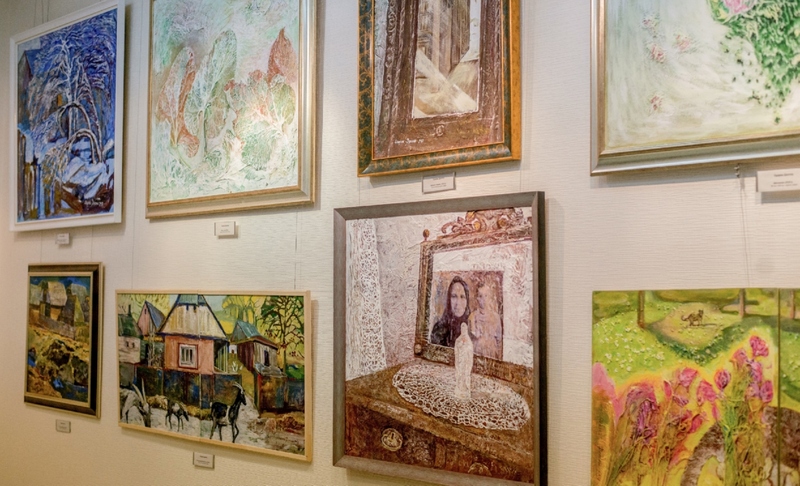 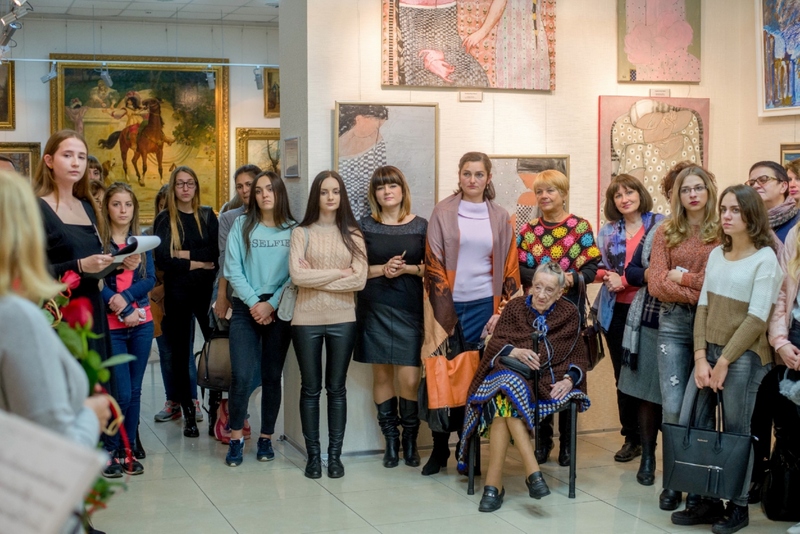 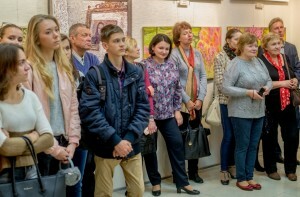 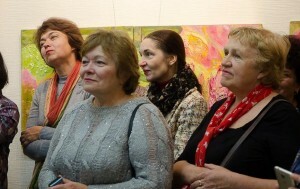 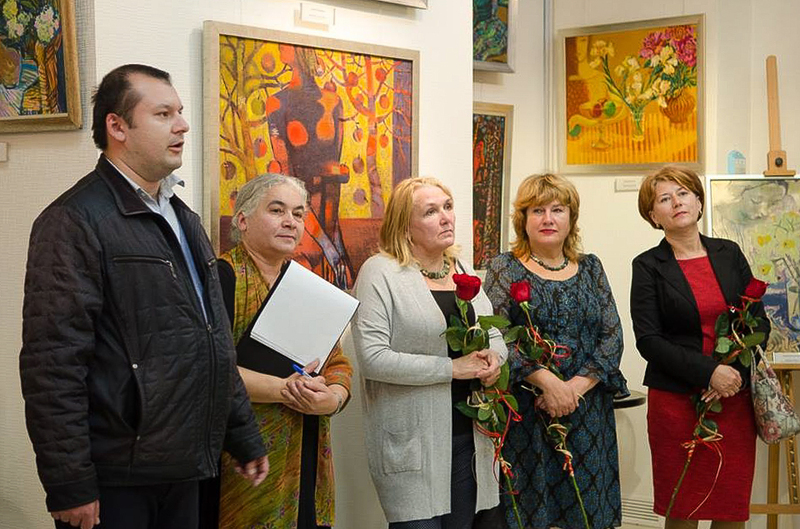 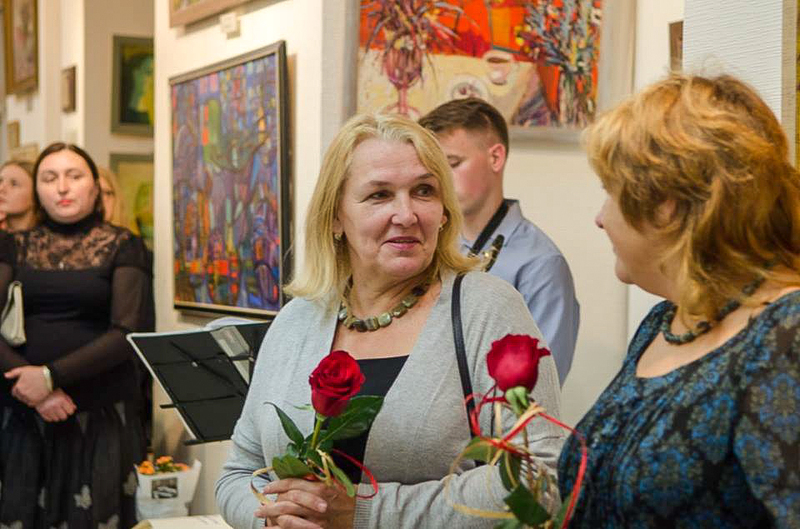 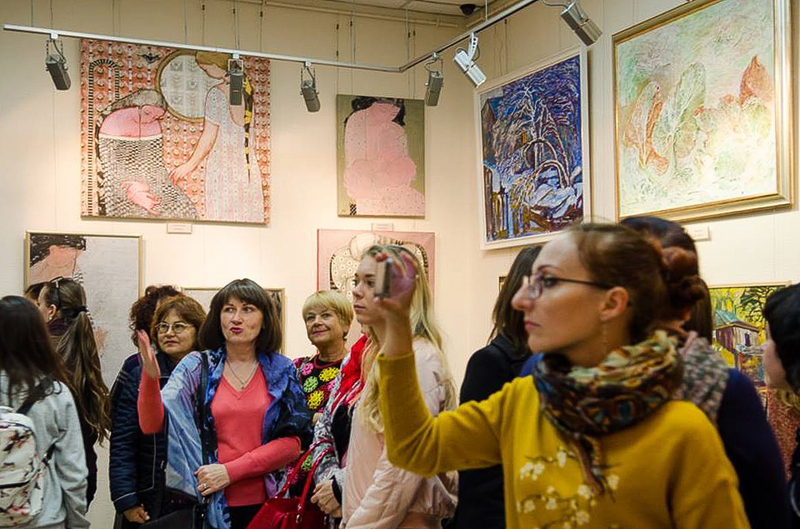 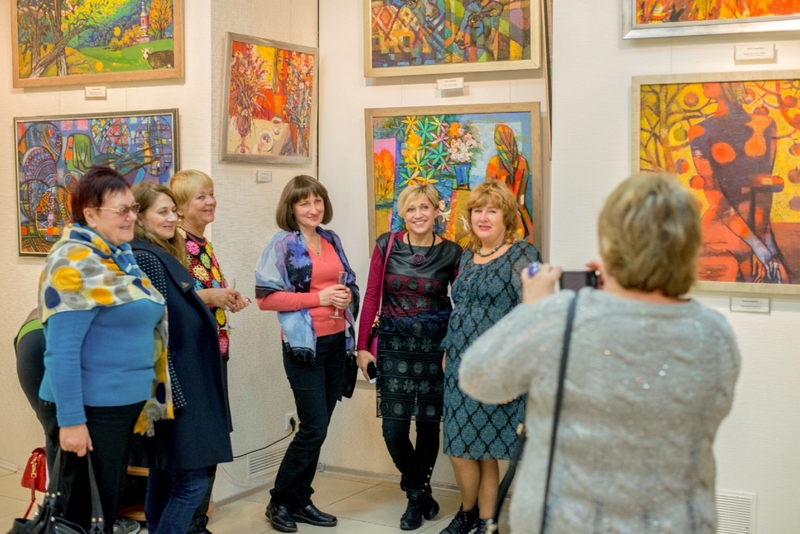 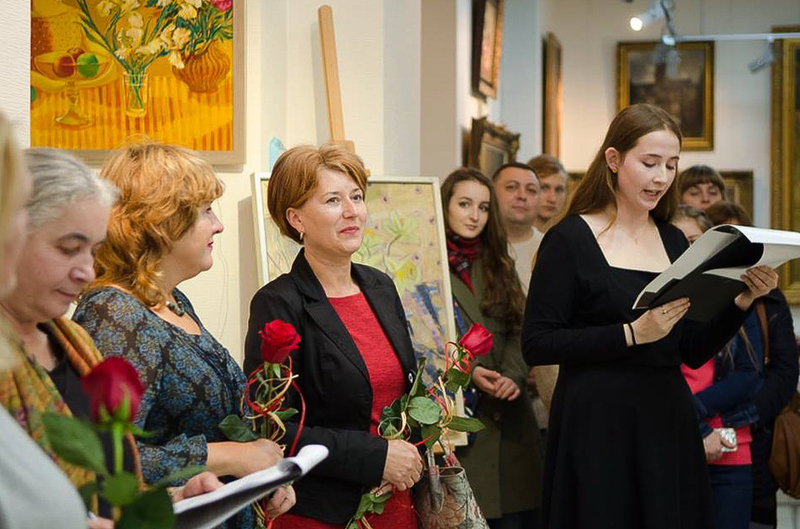 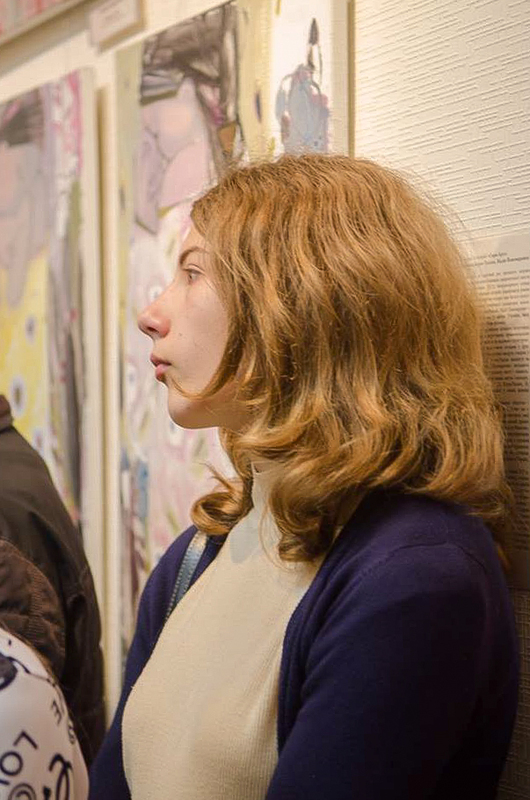 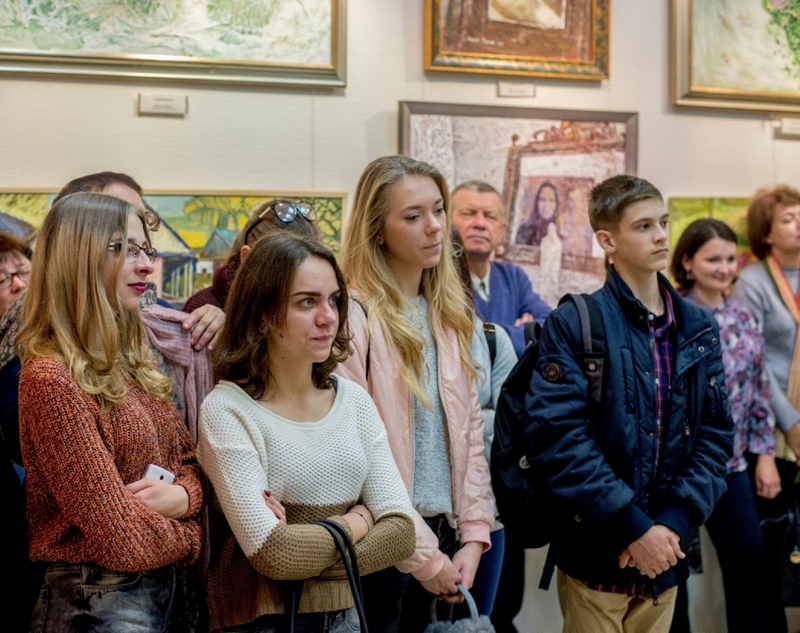 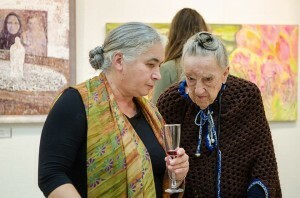 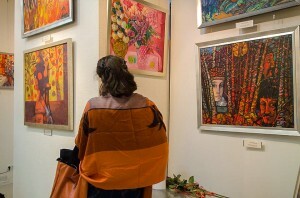 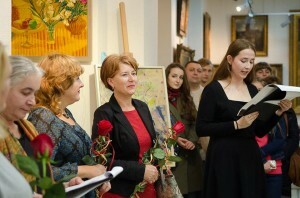 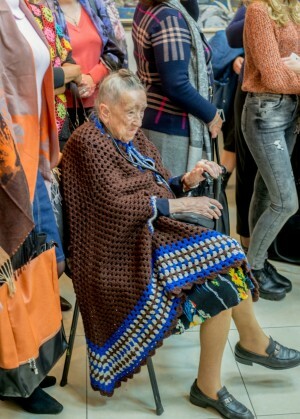 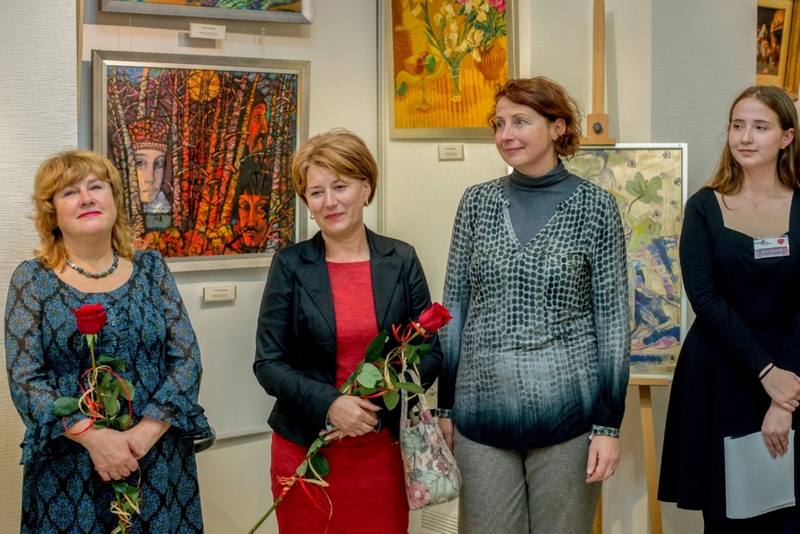 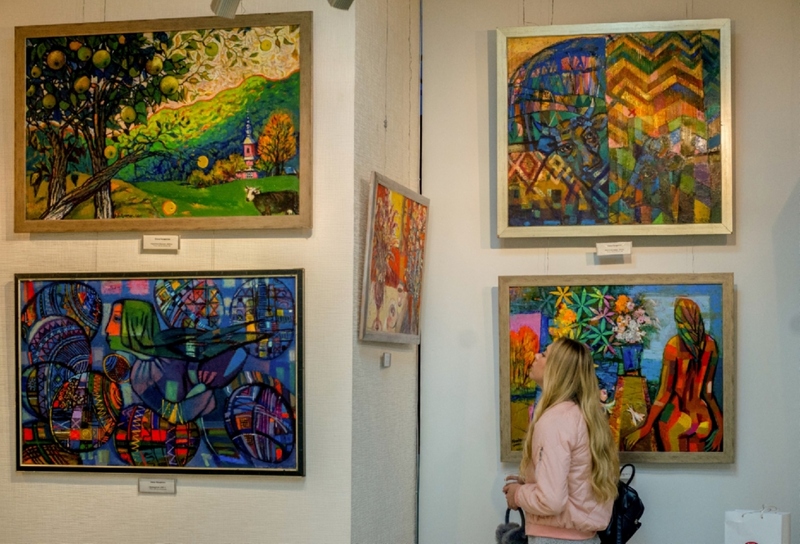 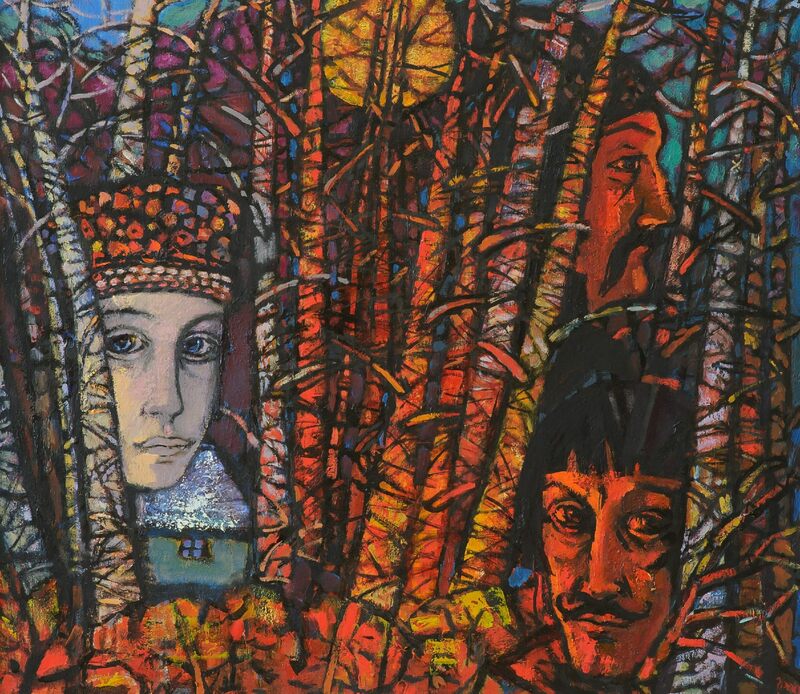 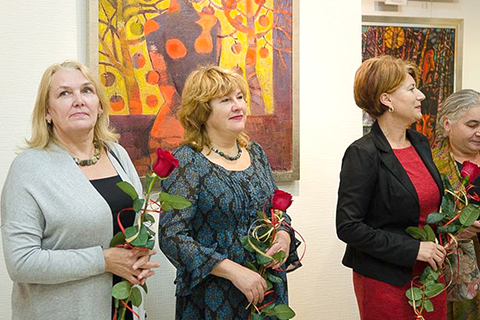 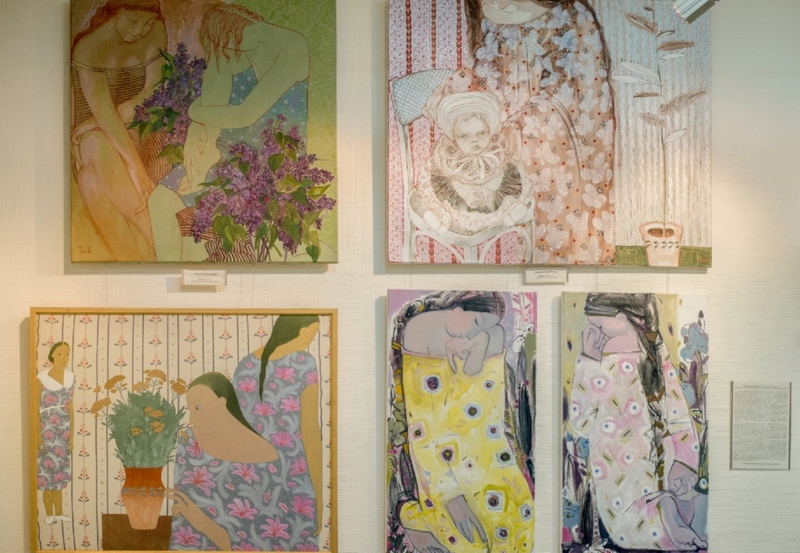 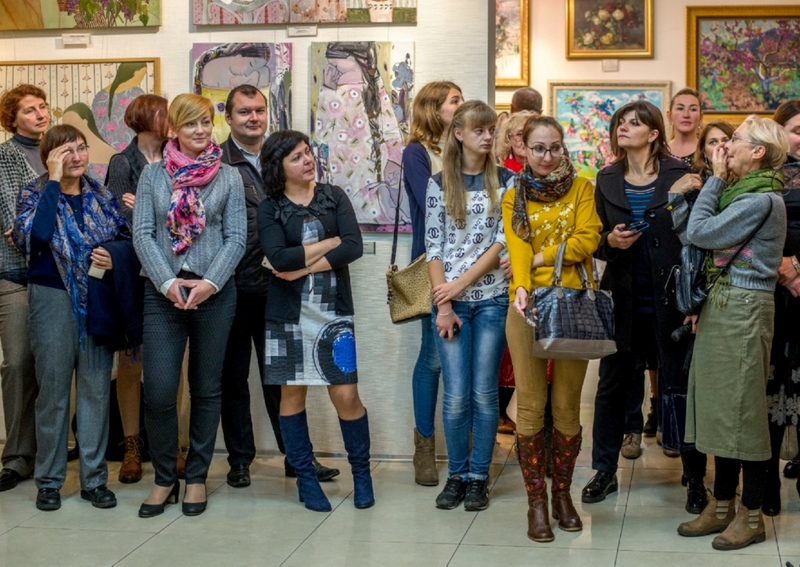 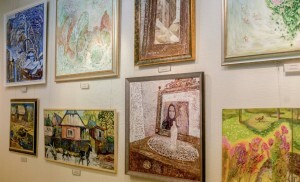 The picturesque "Vereta", made of the works of Transcarpathian artists Odarka Dolhosh, Olena Kondratiuk, Liudmyla Korzh-Radko and Nadiia Ponomarenko, was opened these days at the “Euro-Art” gallery in Rivne. 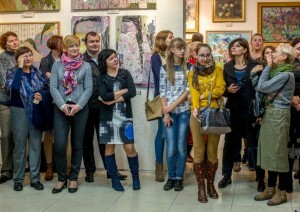 This art project has already been presented in the cities of Ukraine, in particular, Vinnytsia, Ternopil and Chernivtsi. 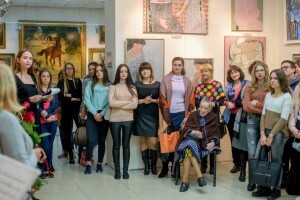 The public organization "Association of Creative Women of Transcarpathia "New Form" with the support of the Art & Culture Foundation Brovdi Art and Department of Culture of Transcarpathian Regional Administration are the organizers of the project. 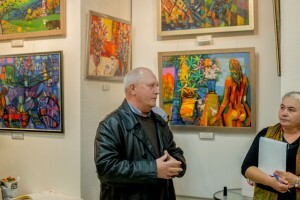 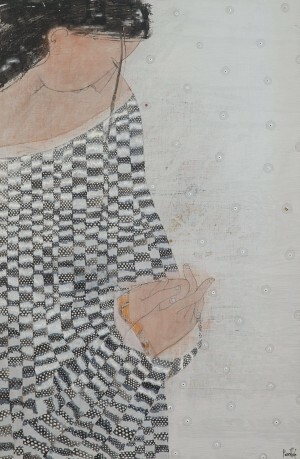 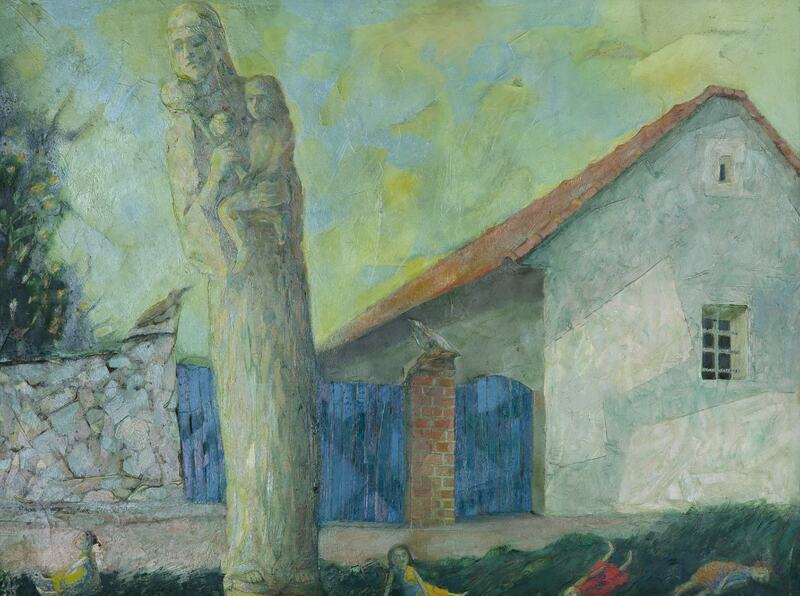 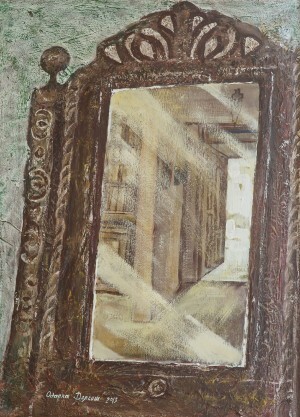 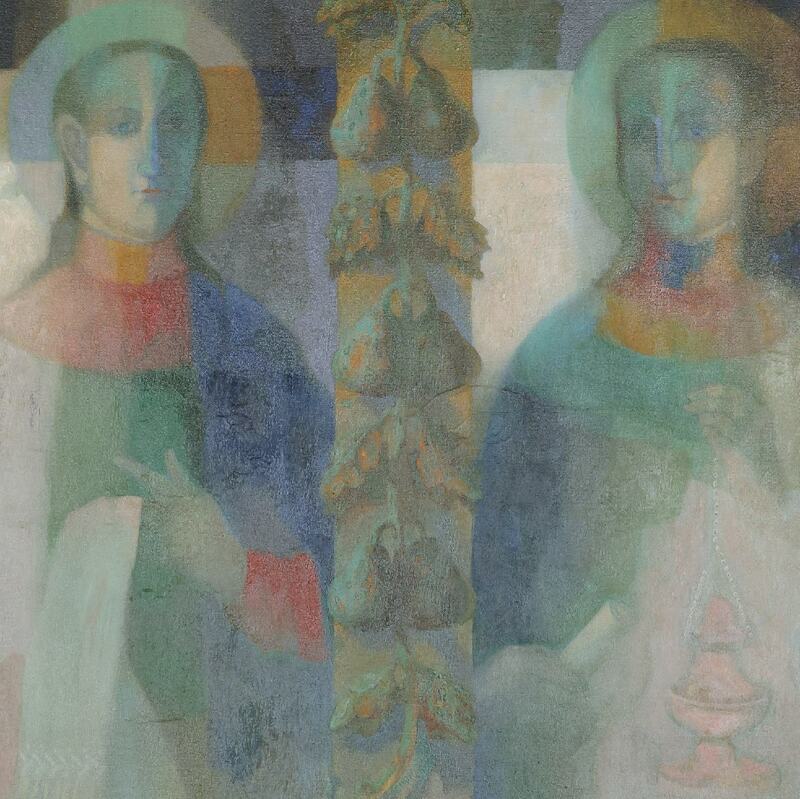 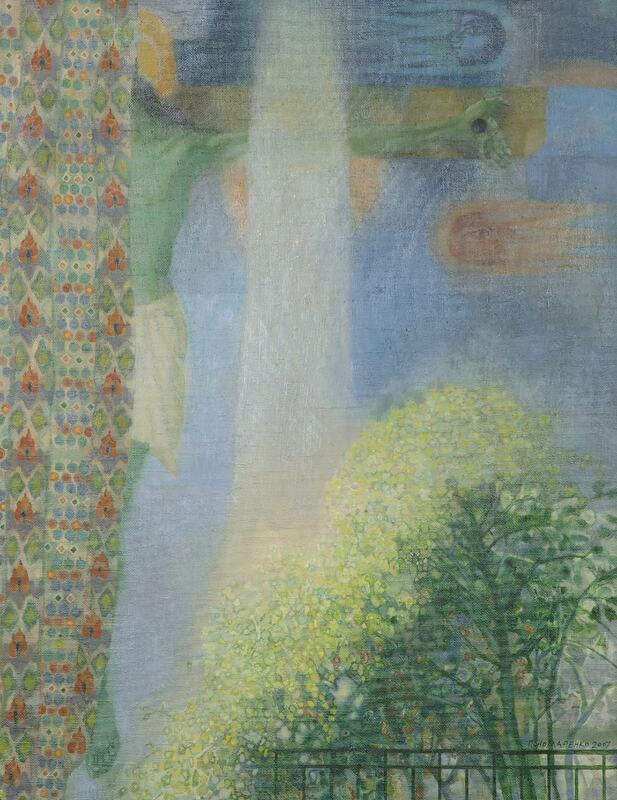 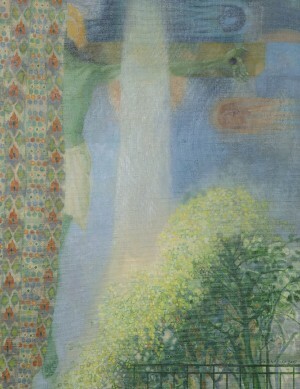 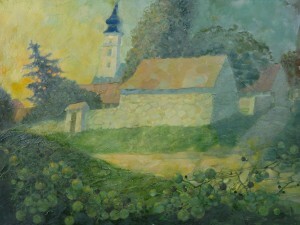 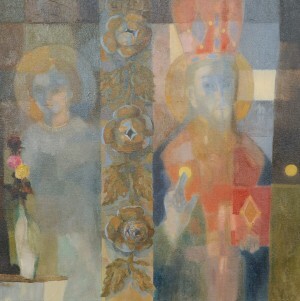 The exposition contains about 50 paintings, which are characterized by the individual features, but still create a single structure of the "pictorial canvas". 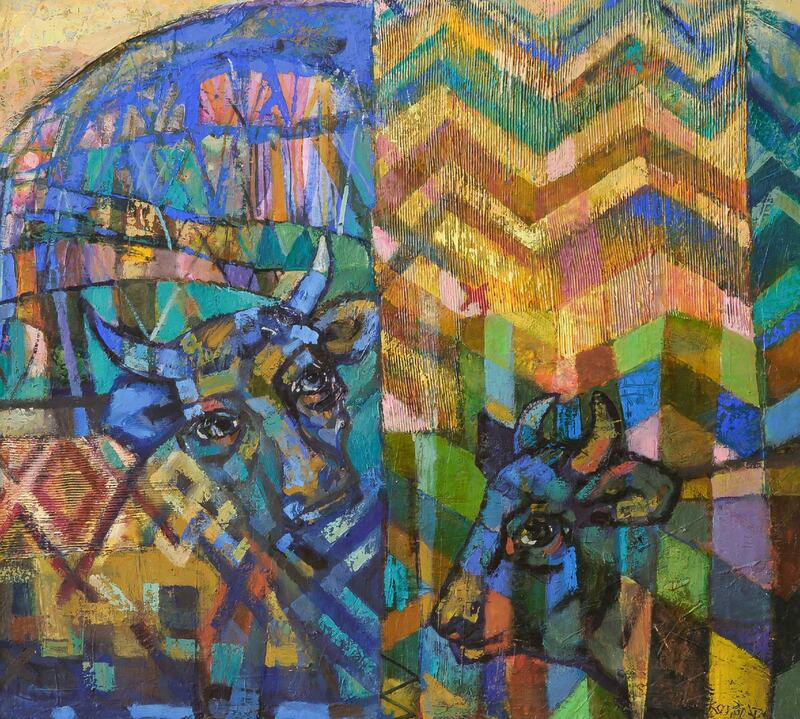 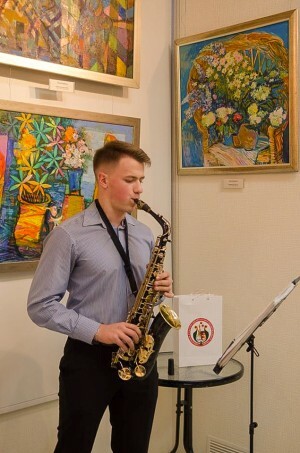 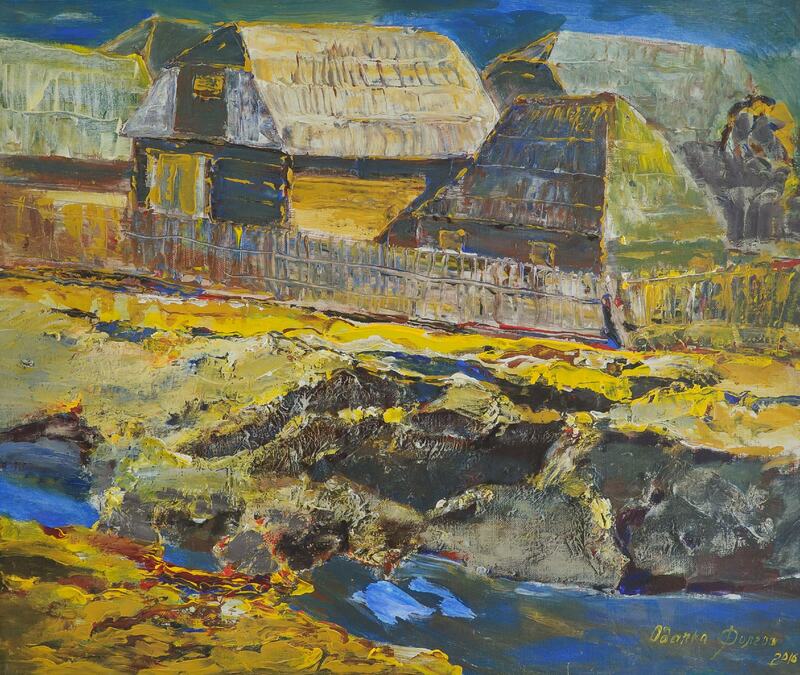 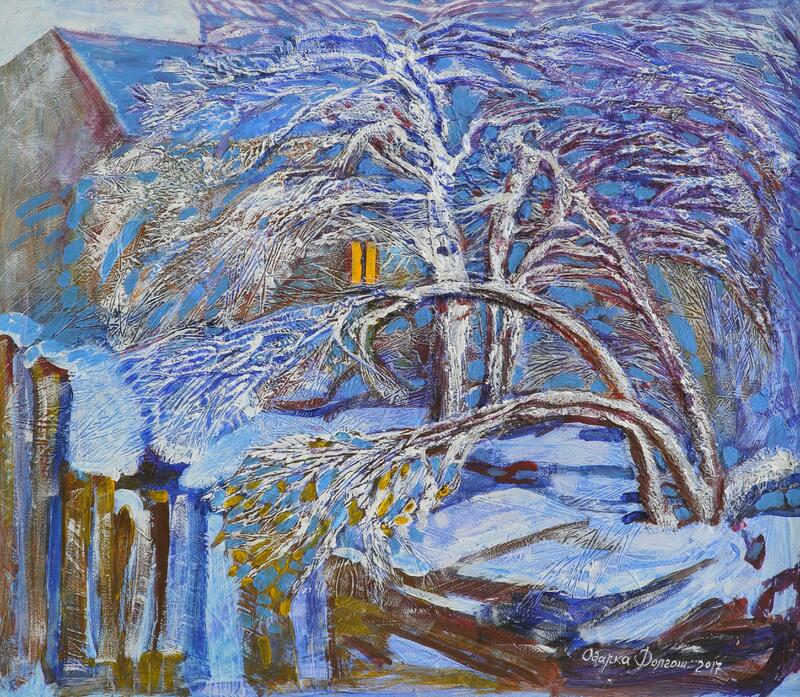 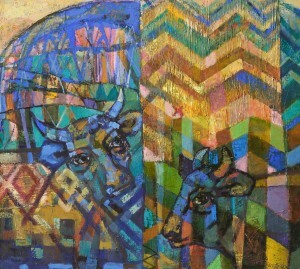 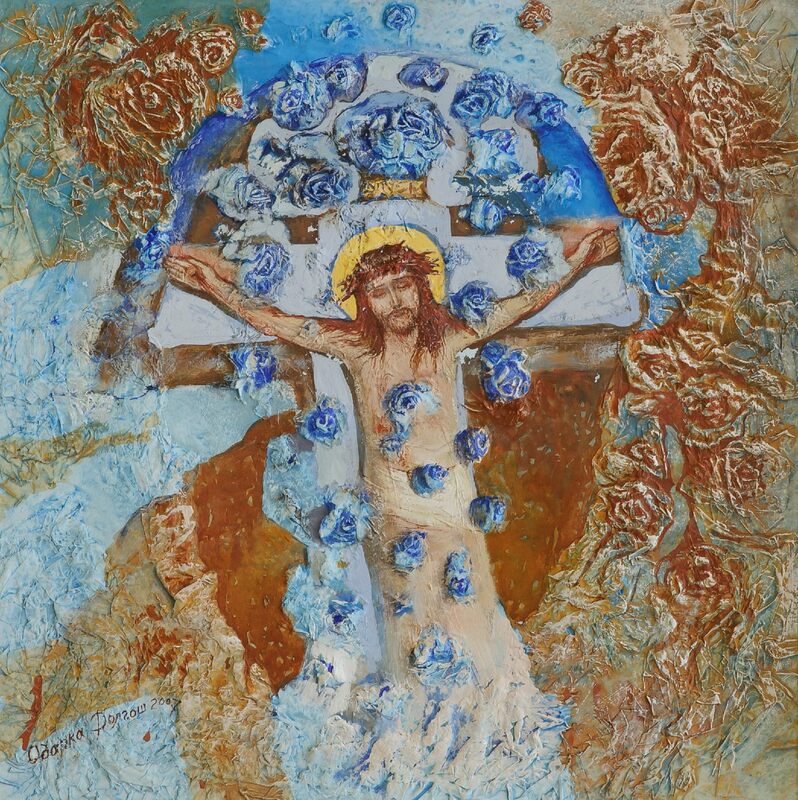 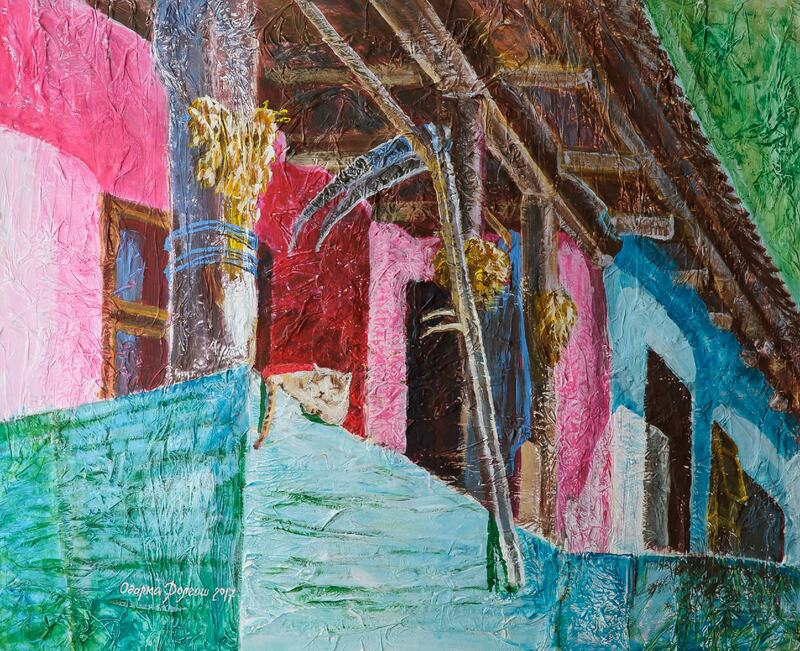 Uzhhorod artists have repeatedly presented their work through a variety of cultural and art projects both in Ukraine and abroad. 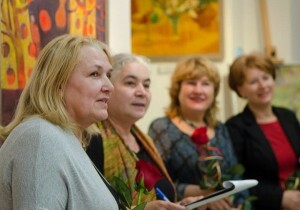 Their common credo is to preserve their creative individuality. 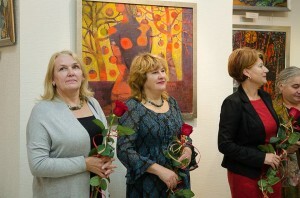 Every time each of the four authors shows it at the exposition space. 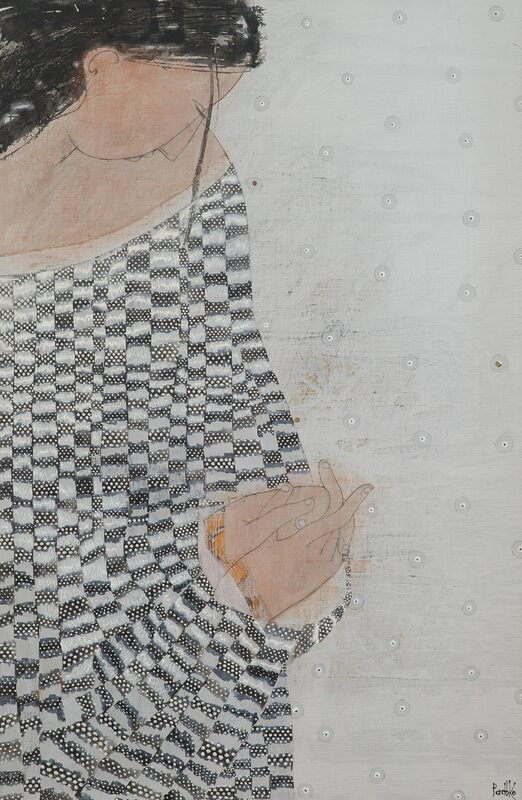 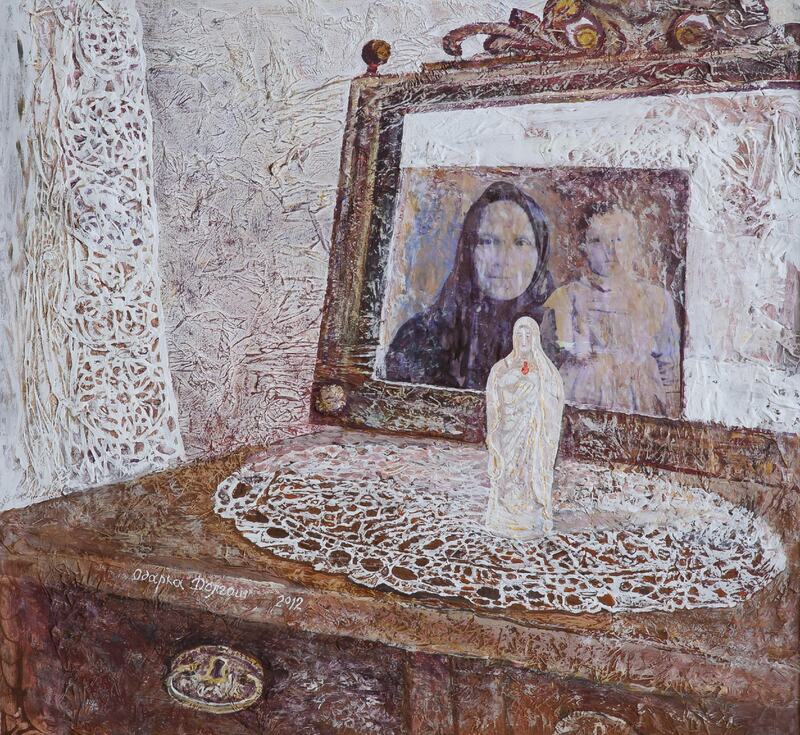 The theme of Odarka Dolhosh’s works reflects the image of the ancient family tree of the artist with the typical family symbols, photographs and objects that raise more questions than answers. 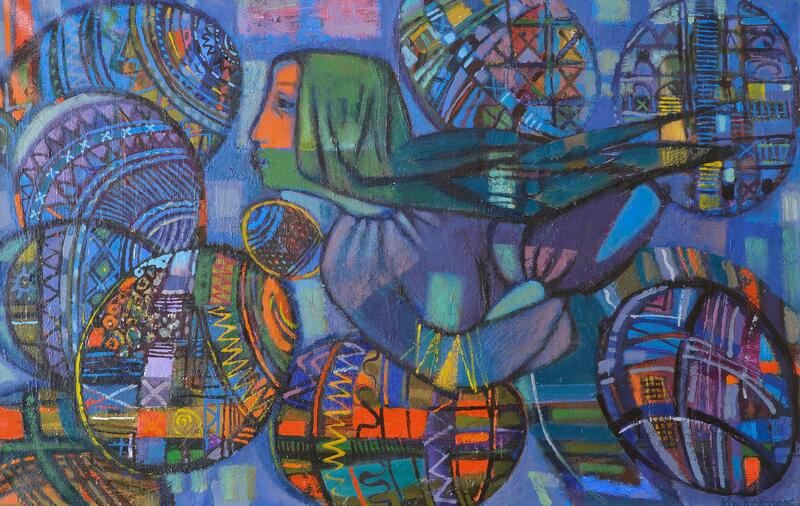 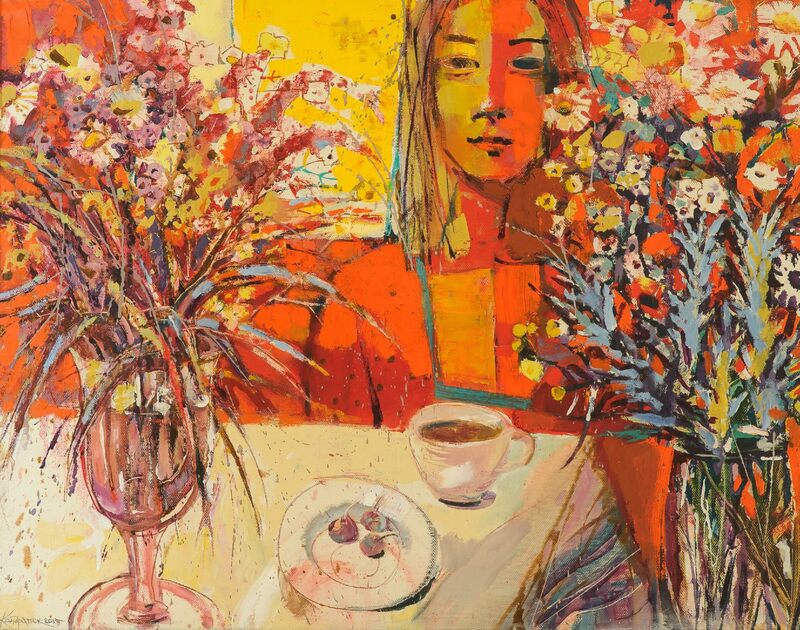 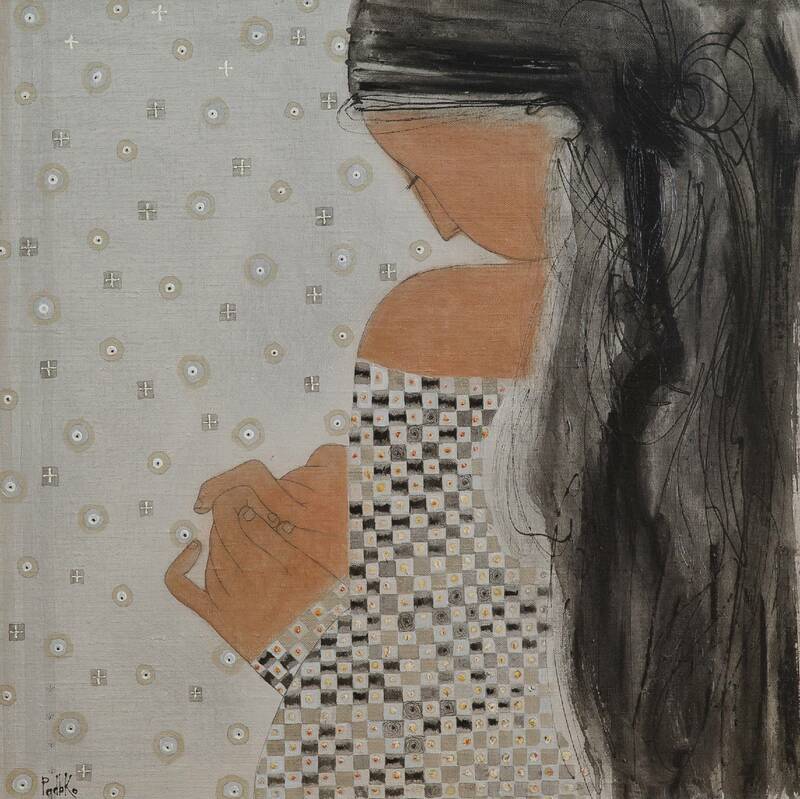 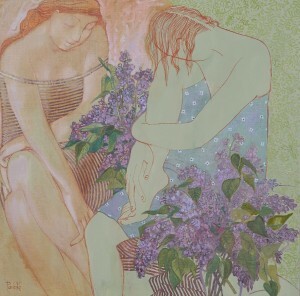 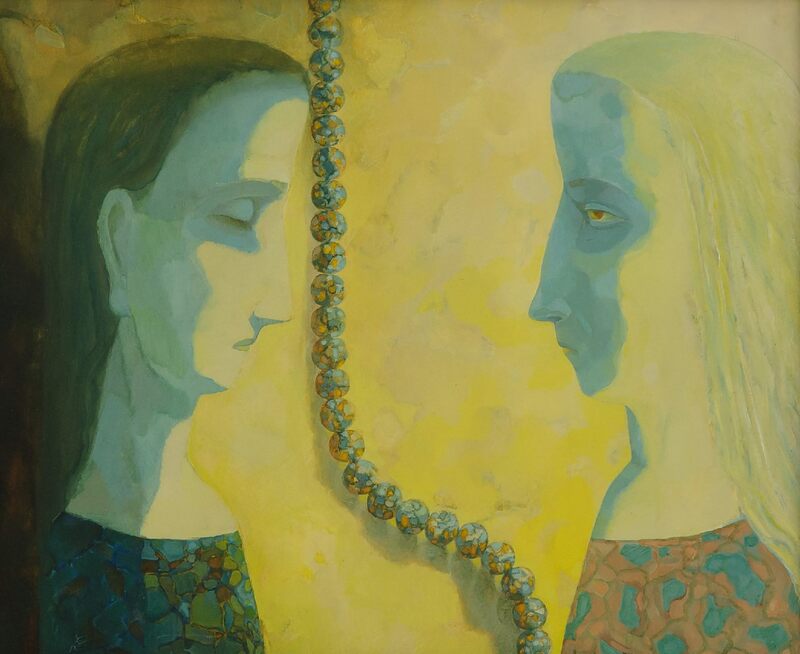 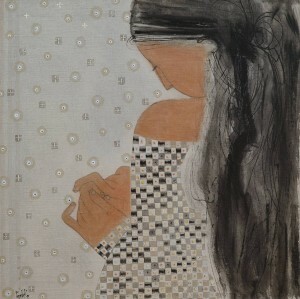 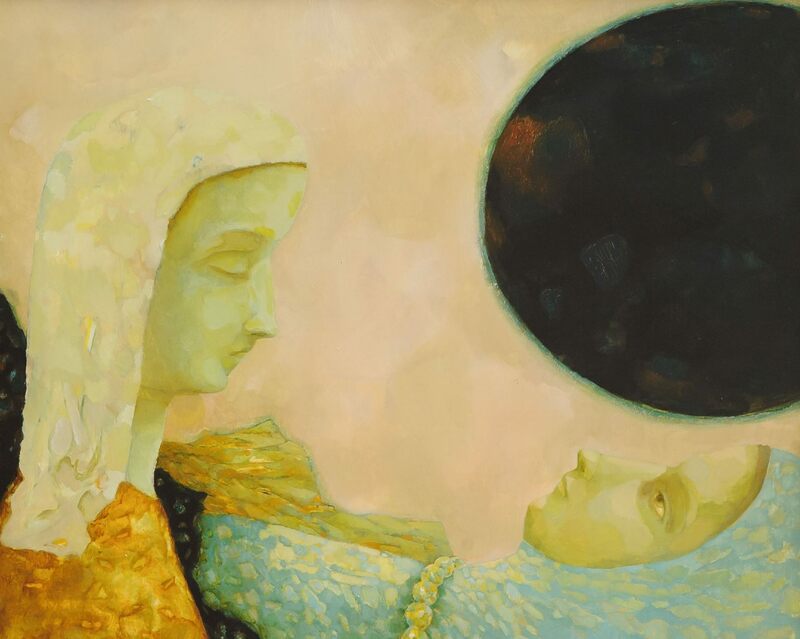 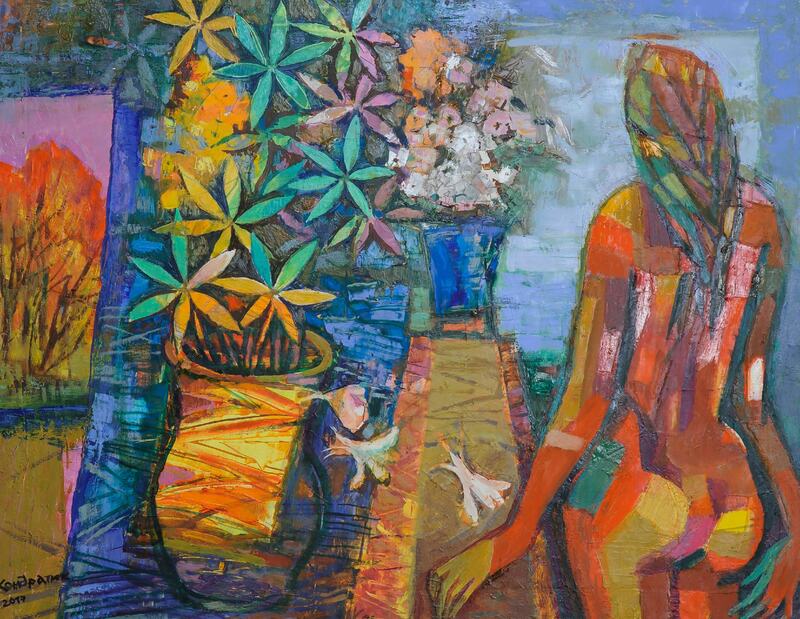 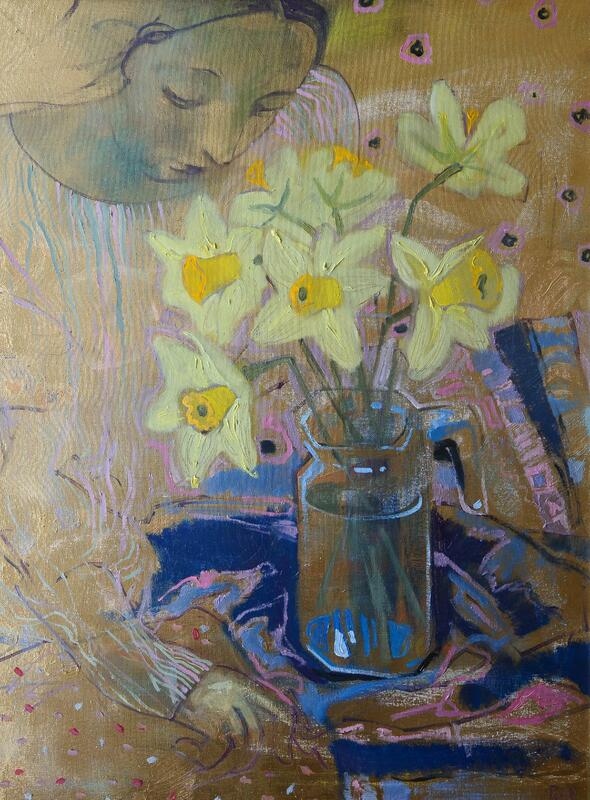 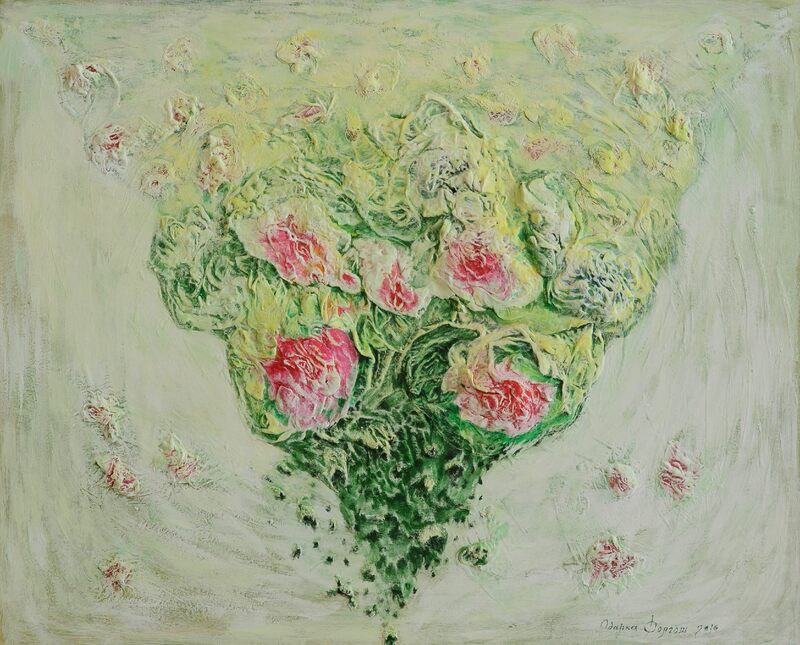 And, the works of Olena Kondratiuk lead the viewer into the world of life-asserting present, symbolic secrets in the eternal theme of a woman in love. 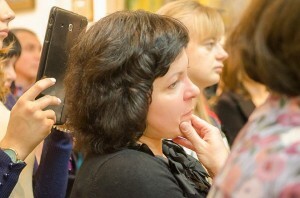 The author fascinates with emotional content, using bright and rich colours appropriate to the content. 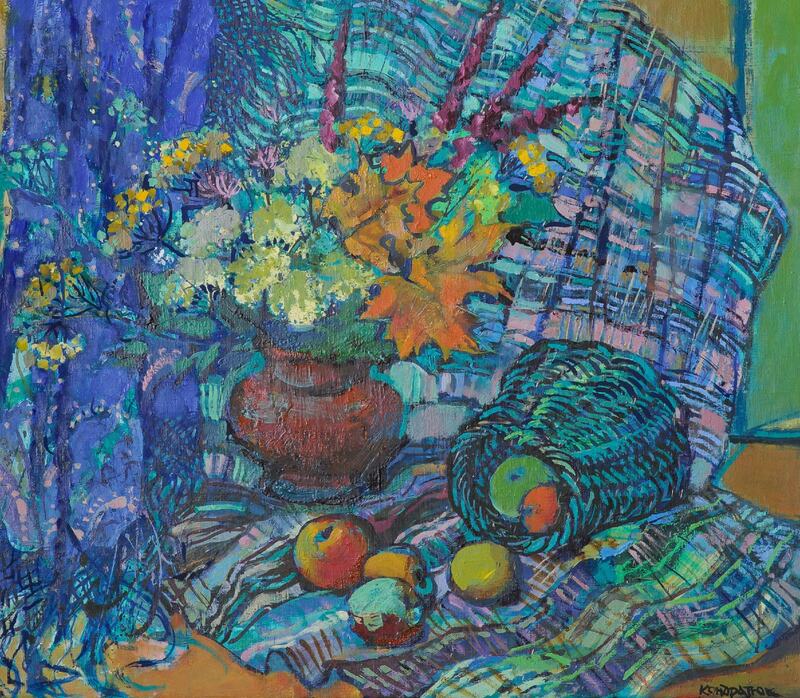 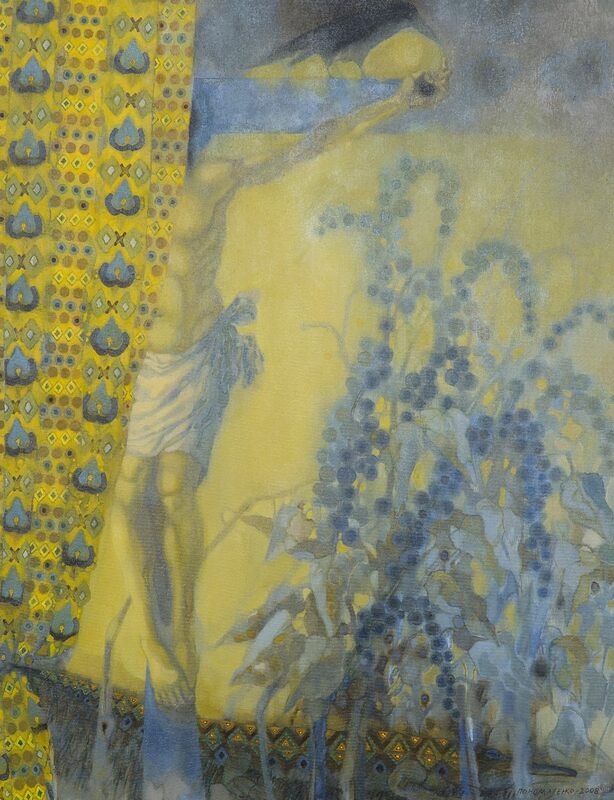 Quite the opposite as to the succinctness of compositional schemes and tenderness of the colours are the works of Liudmyla Korzh-Radko. 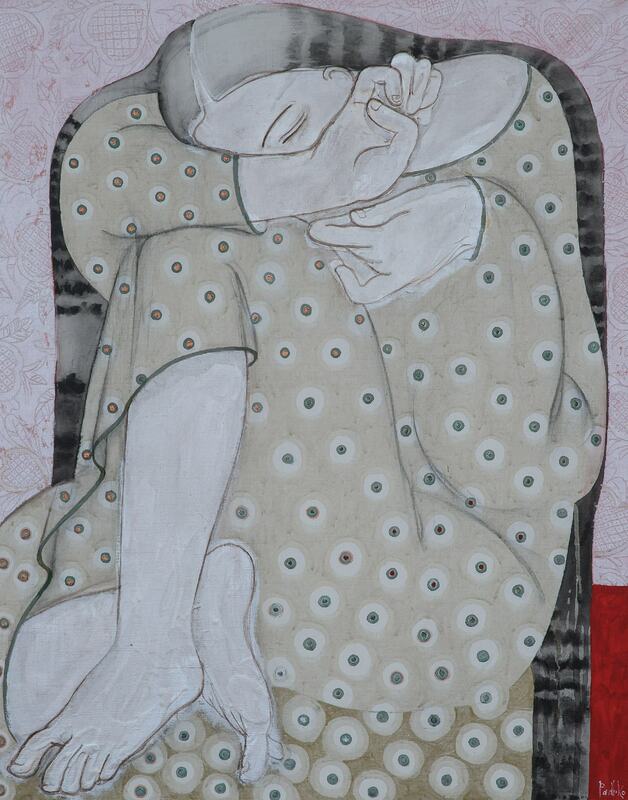 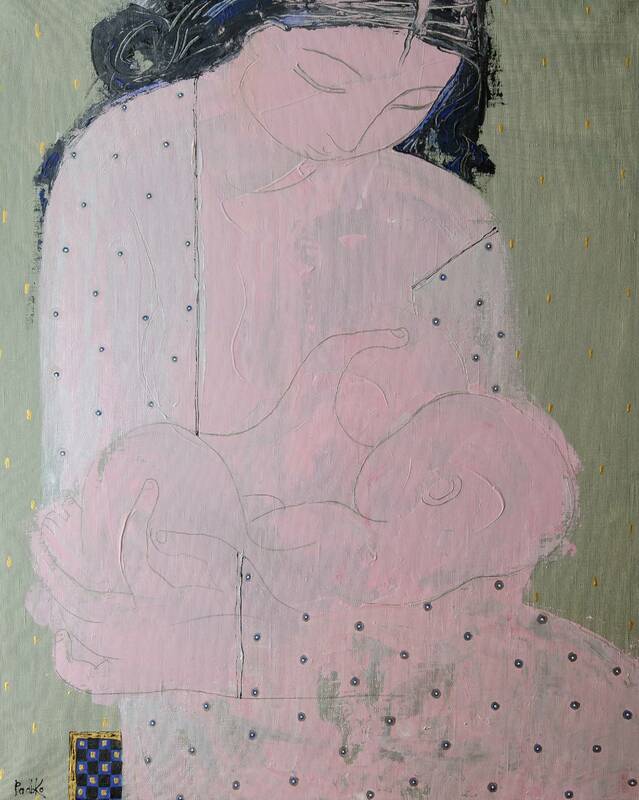 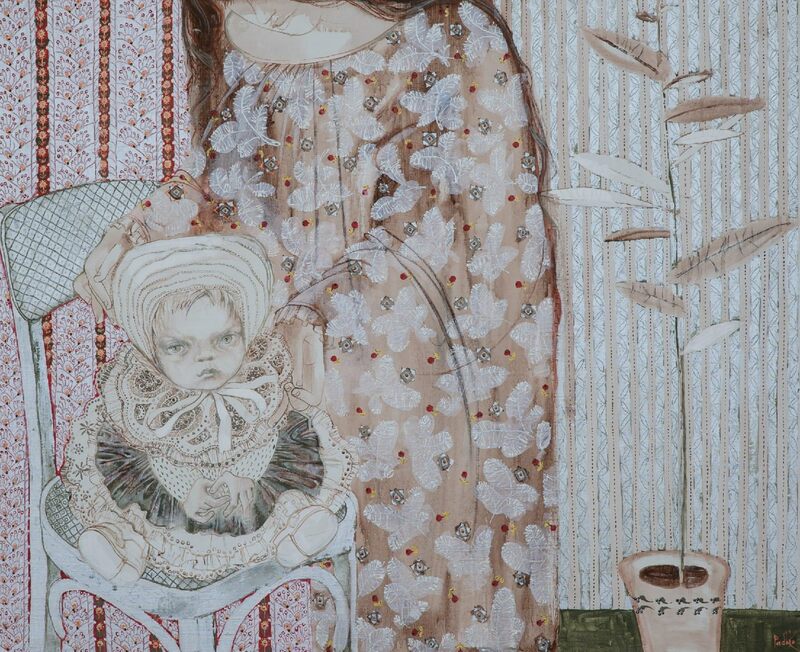 Her feminine images radiate balance, calmness, and the theme of motherhood unobtrusively causes a variety of memories and associations. 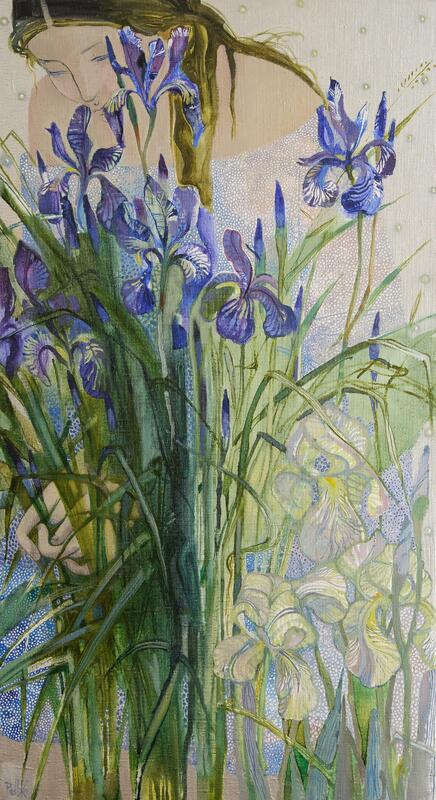 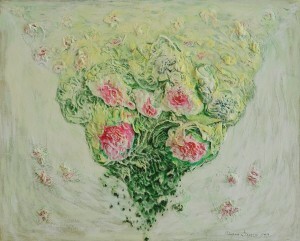 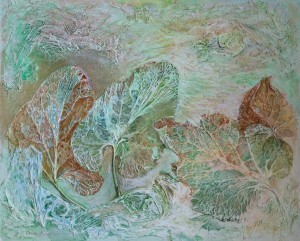 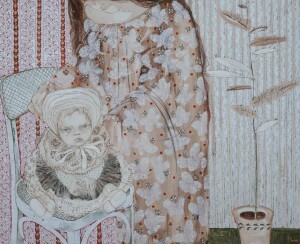 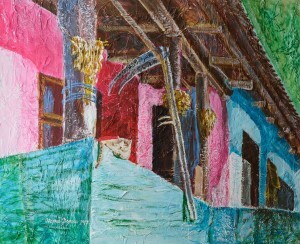 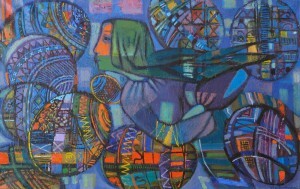 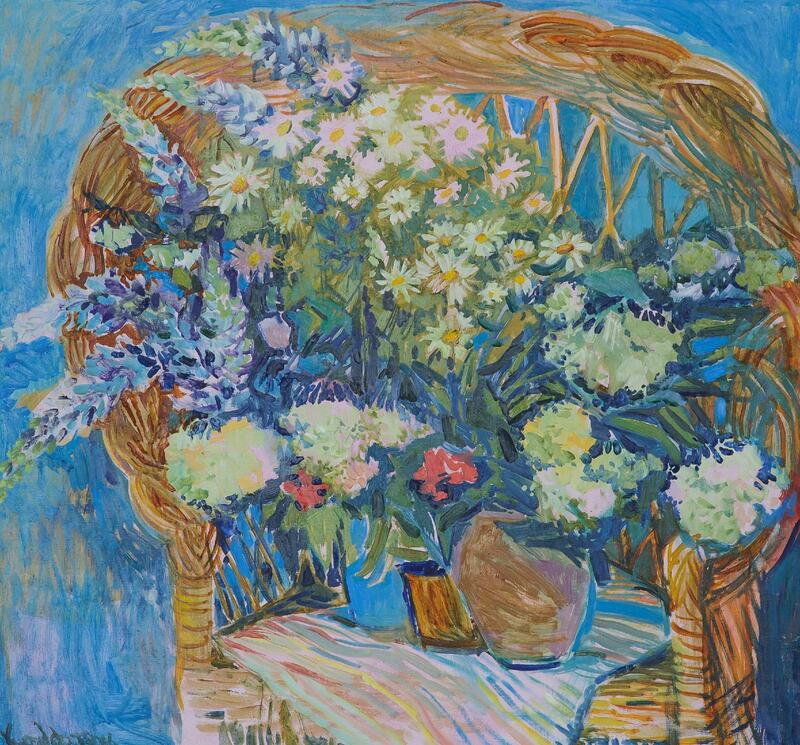 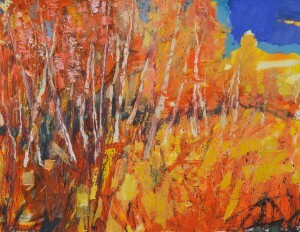 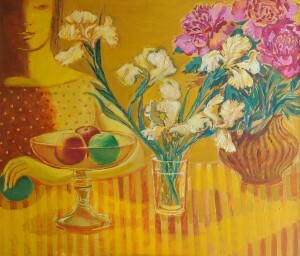 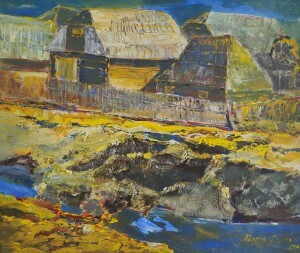 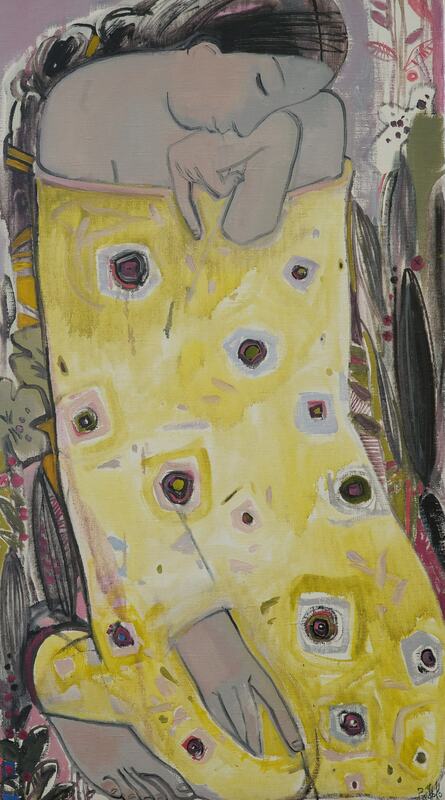 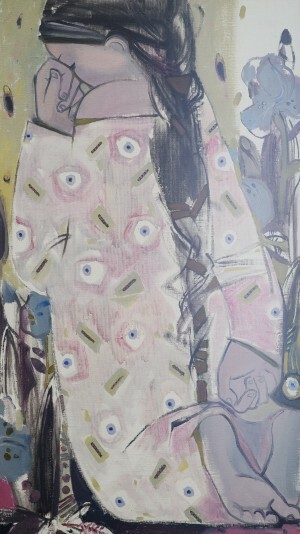 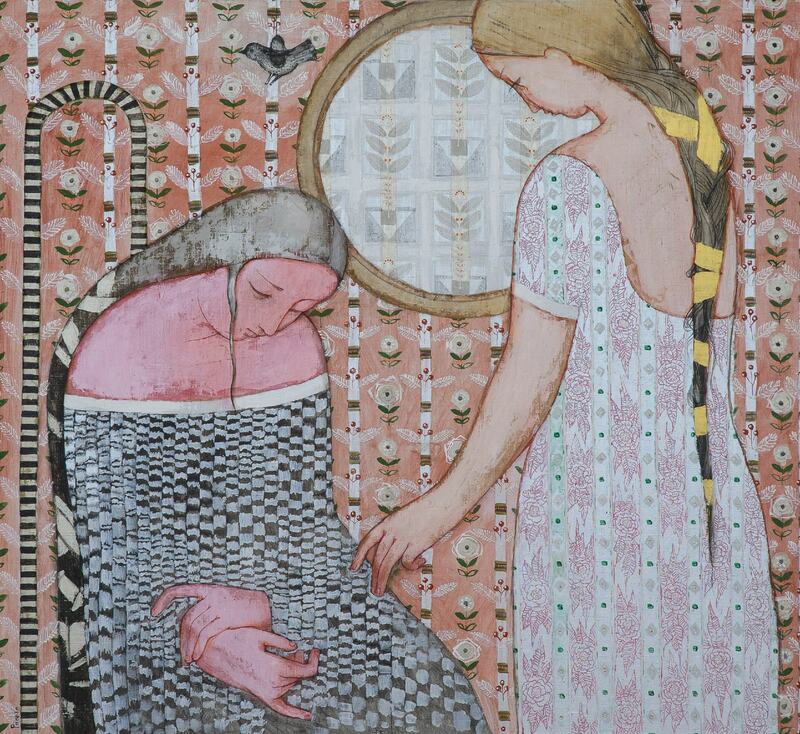 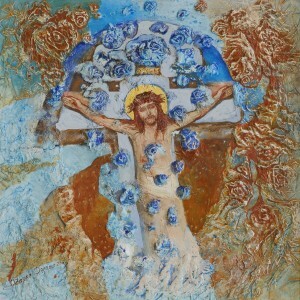 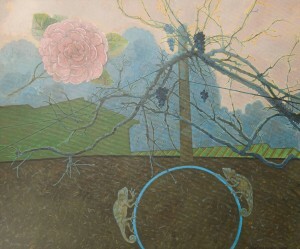 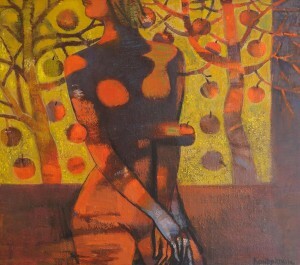 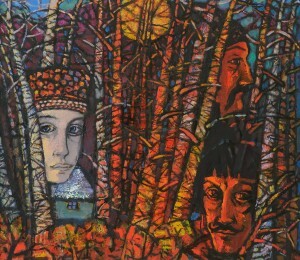 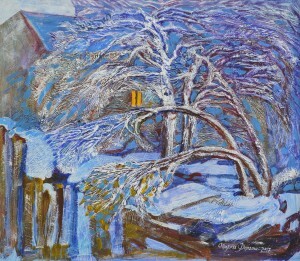 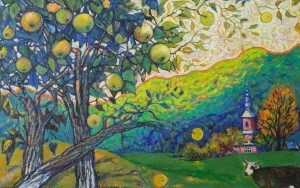 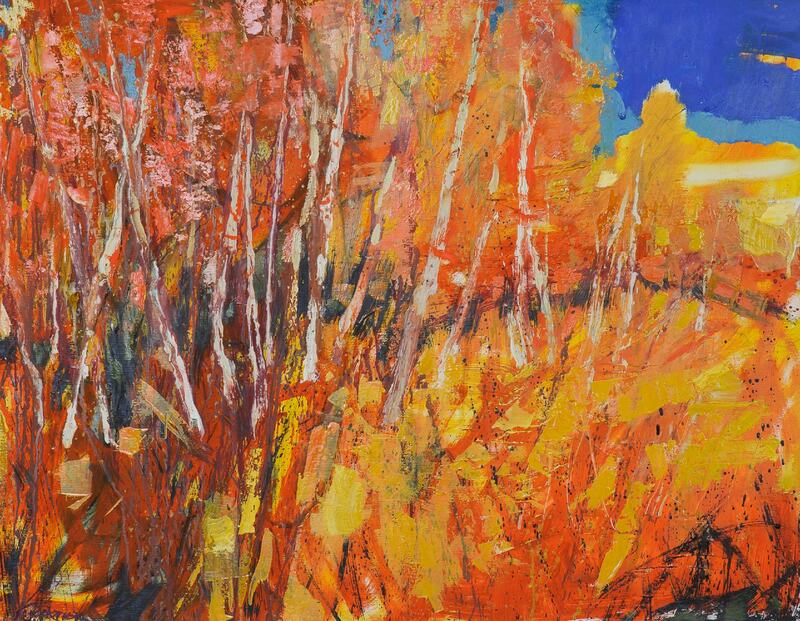 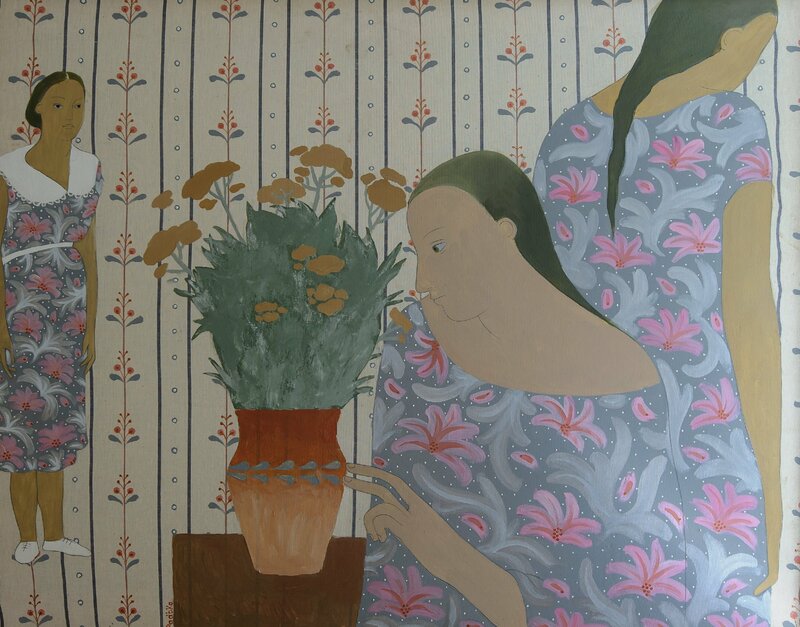 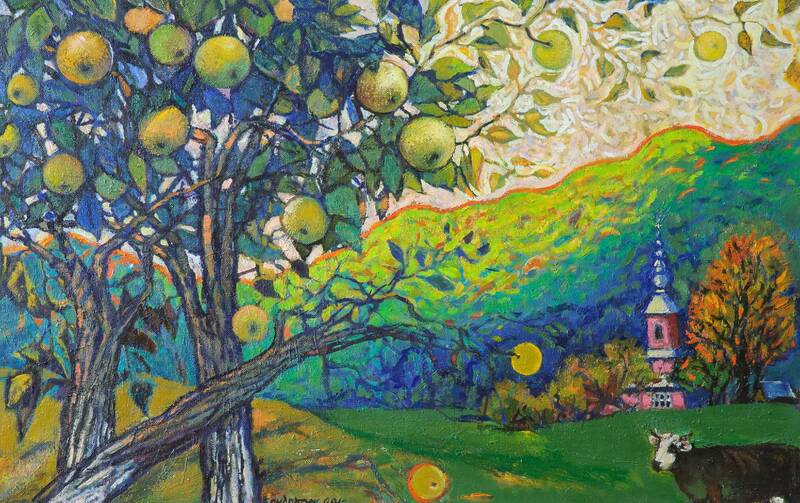 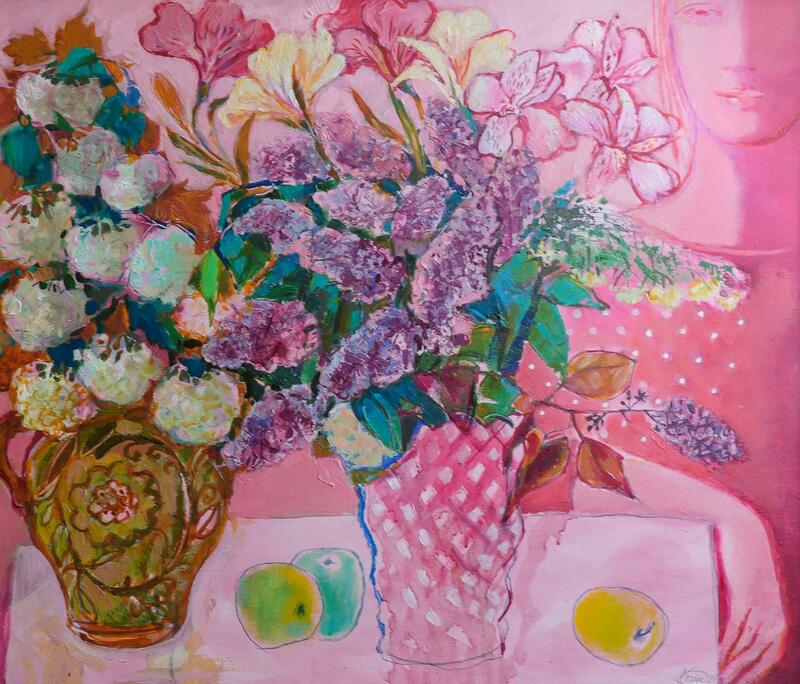 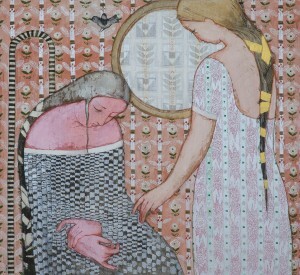 The paintings of Nadiia Ponomarenko don’t leave the viewers indifferent. 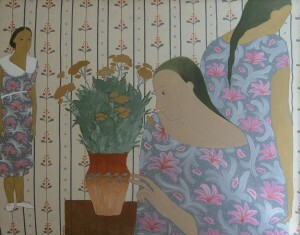 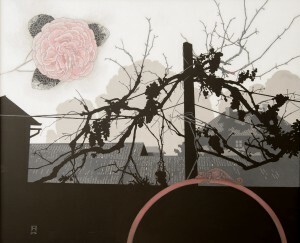 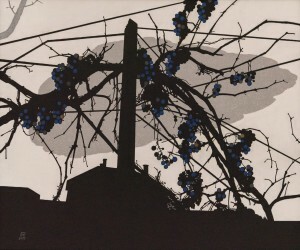 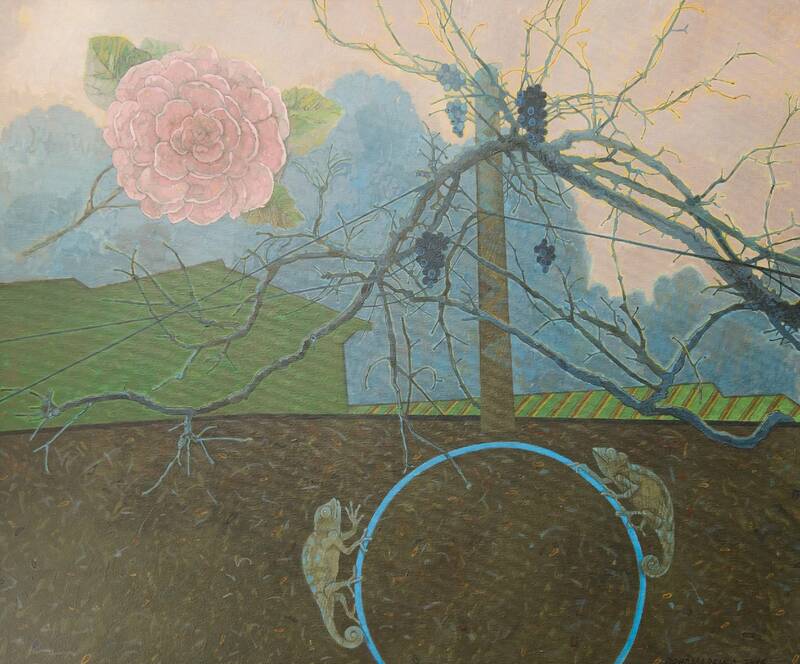 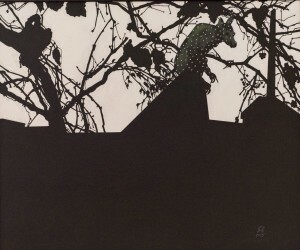 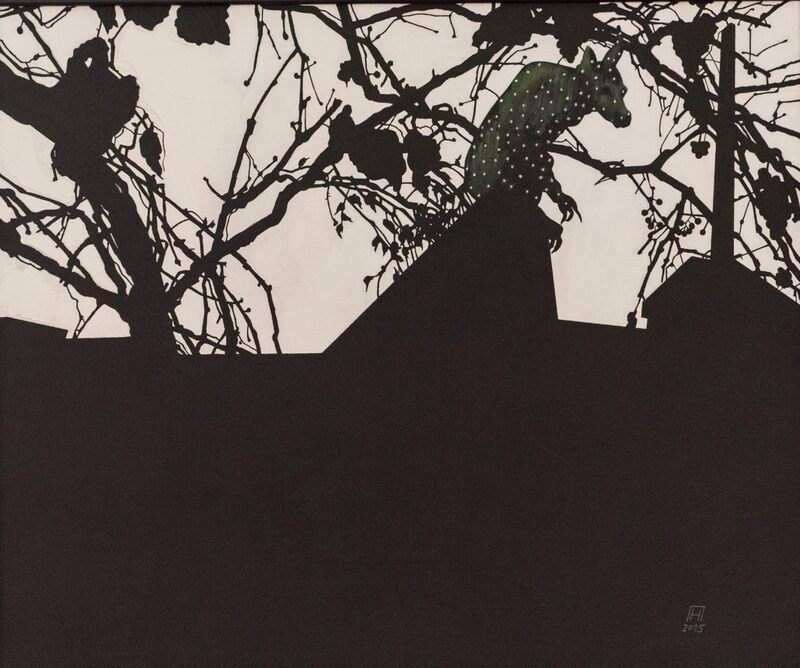 They impress the viewer with their imaginary and at the same time real things in their symbolic imagery. 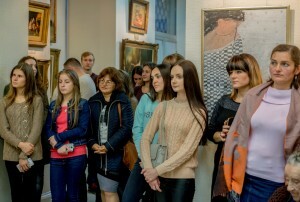 The exhibition of works will last in the Rivne Gallery of European Painting till the end of October 2017.